Today I wanted to show you some interesting things others have done with Oliver + S patterns. I’ve rounded up some pretty amazing creations. There’s a little something for everyone here, I think. 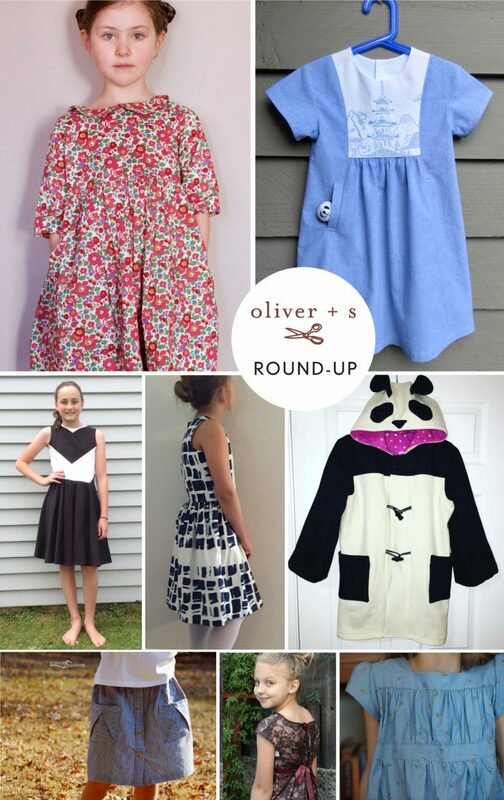 We always love to see photos of the Oliver + S clothing you make. Don’t forget to tag your Instagram photos with #oliverands, so you can share your creations with other appreciative seamstresses. First up is the lovely Alana with her popular Instagram photo. It’s a lace Roller Skate dress that she sewed for her daughter. This reminded me of our lace inspiration post and our lacework tutorial. This dress has been a really popular Instagram photo this past week. 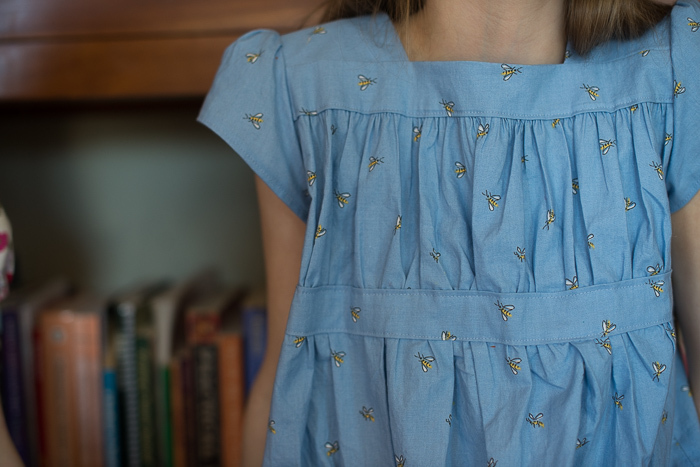 It’s a lovely Garden Party dress, look at the sweet little bees! Ginny sewed it for her daughter’s eleventh birthday. 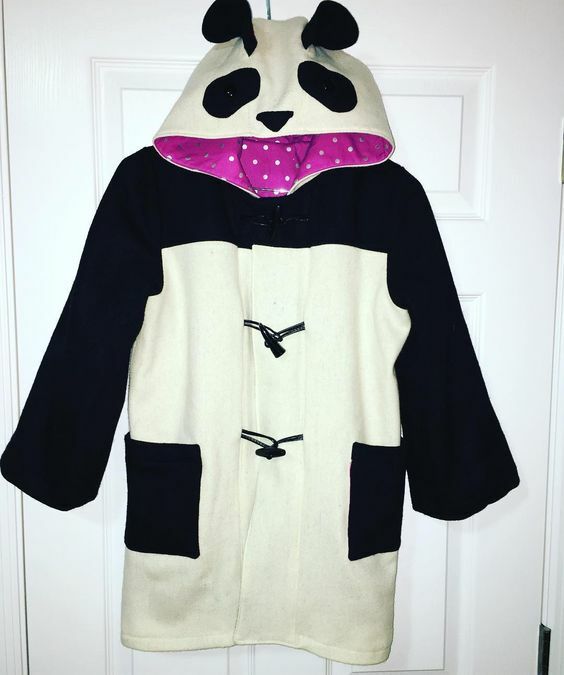 Look at Nicole’s panda School Day’s Jacket, how clever is that? It surely gets you thinking outside of the pattern envelope, doesn’t it? This reminded me of our animal inspiration post. 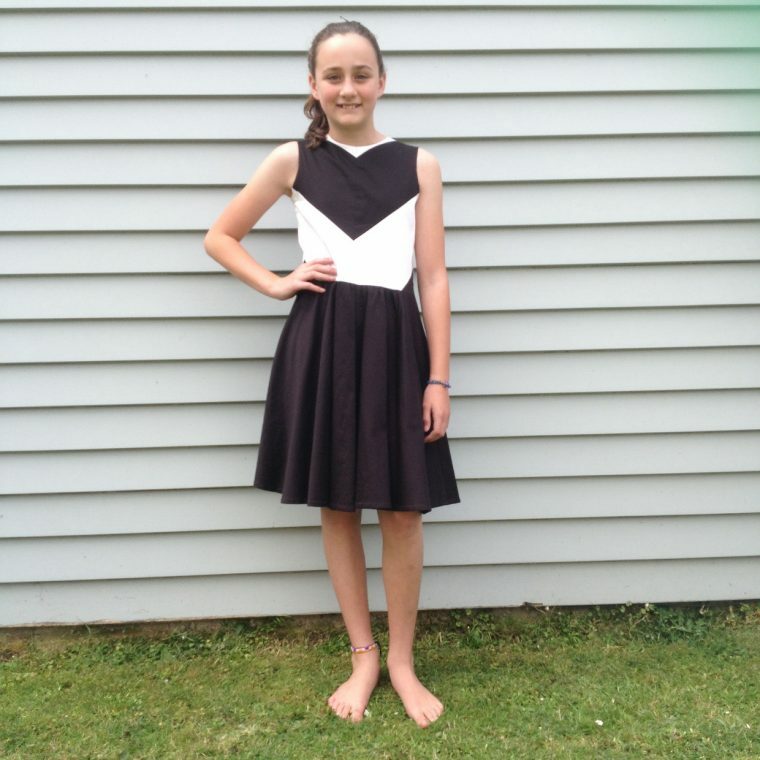 Jeanette made this stunning color blocked Building Block dress in size 12. 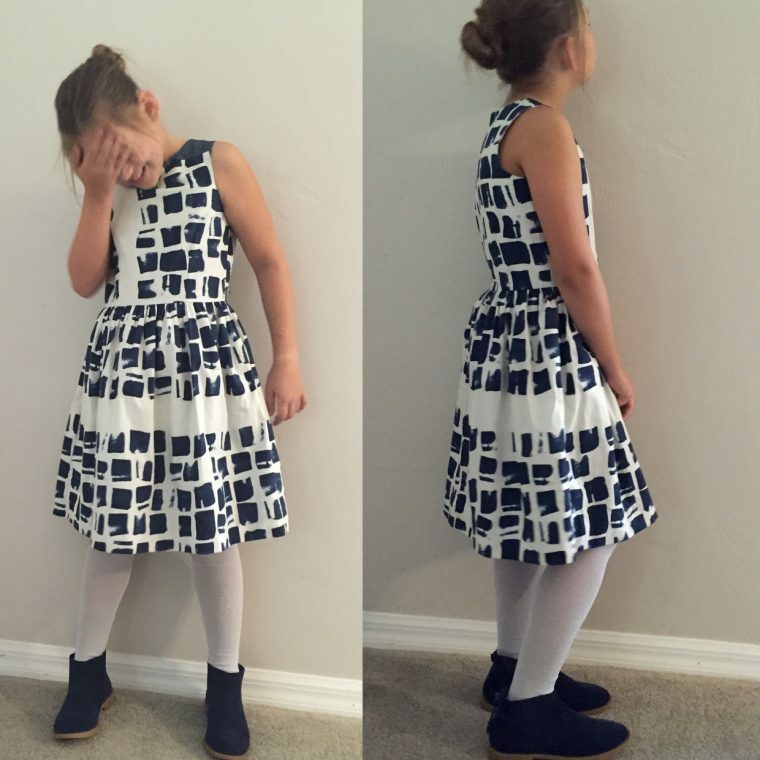 If you’re looking for more dress ideas for girls 9-12 years old, check out our tween dress round-up. This amazing Fairy Tale dress is from mcholley1. I love the fabric she used. 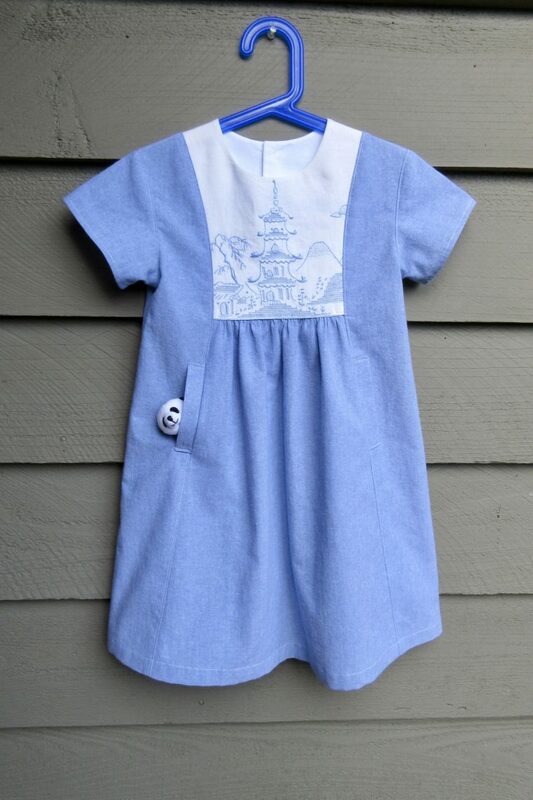 Marlene made this Hide-and-Seek dress with embroidered towel for the front yoke, how clever is that? You can see a placemat yoke version here. 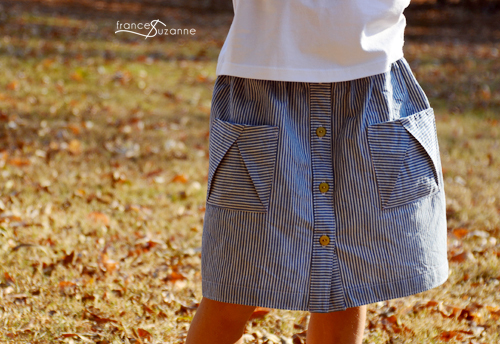 FrancesSuzanne sewed up this perfect Hopscotch skirt. What a fantastic fabric choice! I know you like seeing the fabric other people select for sewing different patterns. 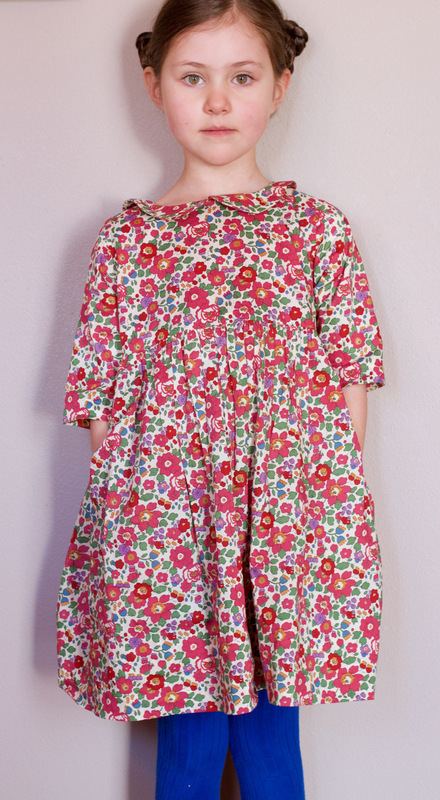 This is Amanda’s Playtime dress in a lovely Liberty of London floral fabric.